“Right from being given the news that we had won we were treated to the customary Scott Dunn efficiency and friendliness. This was especially appreciated as St Anton was not suitable for beginners and all your staff went out of their way to accommodate our requests for an alternative chalet at another location. Michelle and Oliver could not have been more helpful and the icing on the cake was definitely being upgraded to Le Rocher. 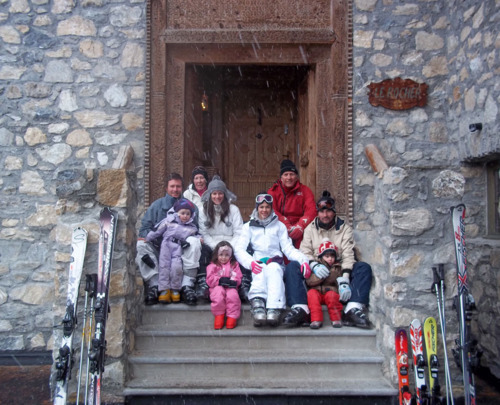 In the past we have stayed in some of your best chalets but Le Rocher is out of this world. It was much appreciated that despite being an upgrade we received the full Flagship service and I have to congratulate you on your local staff. Lucie the chalet manager is efficient friendly and fun. Chris the chef produced tasty and imaginative meals up to the standard of most of the west end of London restaurants we frequent. The grandchildren loved the meals he prepared for them. Danny and Jack deserve mention for their friendliness and forbearance. We only saw Rachel for a short while but she was as good as the rest. Finally the drivers were always helpful and clearly the resort manager Jo leads a good team. I would suggest that you use ESF for teaching children although Jurgen from Oxygen for the adults was a revelation.